Today's the last day of February! I've been away for months due to divorce, haven't even enjoyed lurking. 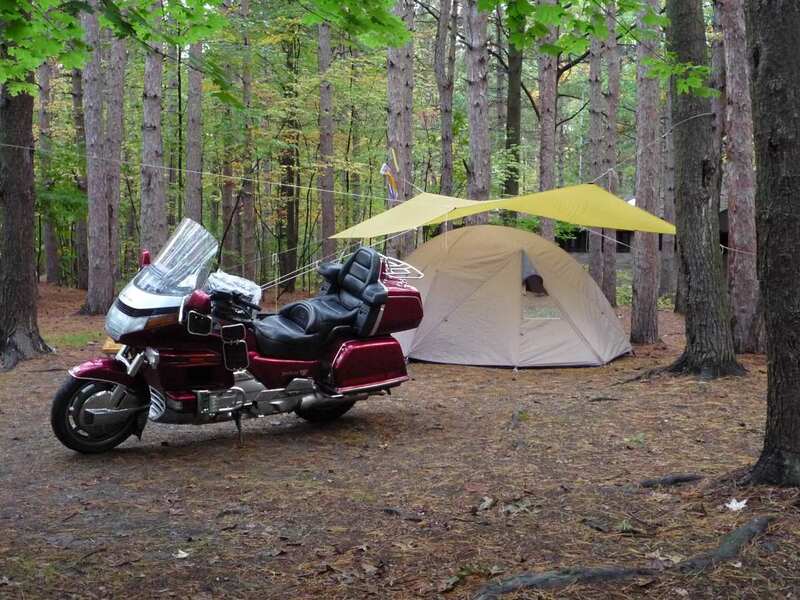 But having made new friends who love to ride, I'm finally looking forward to some real trips, and camping is part of the plan. I've camped, and I've ridden....but haven't done both together. Are there preferred tents, sleeping bags, cooking etc items out there best purchased for packing on a wing? Would appreciate all good thoughts and advice, and thanks! Still six inches of snow here in N. MO, melting, we're about to enjoy some highs above freezing this week. It's been a long, snowy, extra cold winter here.....it's time to ride! There has been a couple of good threads on here talking about camping gear, what to pack and brands of tents, etc......If I can find the dang post!! Found it....this should be some good reading for you and give you some good info! Does your boat have more horse power than your wing? I use a 30 year old 2-man dome tent, a self inflating mattress, and then a 3" memory foam pad. I have a bad back, and need a little extra comfort there. And then, a double polyfil bag, (I am too big for a single bag. Sleep in sweats and a t-shirt, that way when you have to get up in the middle of the night, you don't have to search around for your skivies. Also, a pair of flip-flops work well to protect feet during that 3:00 am break. I also have a plastic sheet to go below the test to protect the tent from moisture, mud, etc. Also use a small LED flashlight, and a cord to hang it from so you can read yourself to sleep at night. Go to a good backpacking store like REI of A16 ect. and get the kind of equipment that you would carry in a backpack on the trail. I have been using my backpacking equipment on the bike, and all of my gear for two people for a week fits into one side box, with the two sleeping bags and self inflating pads in the rack bag, ad waterproofs in the other side box. This leaves the top box completely empty for whatever we need it for including all our riding gear and helmets when stopped. All of my gear for two weighs in at around 25# and the tent has been into minus 35 with 70-80mph winds. 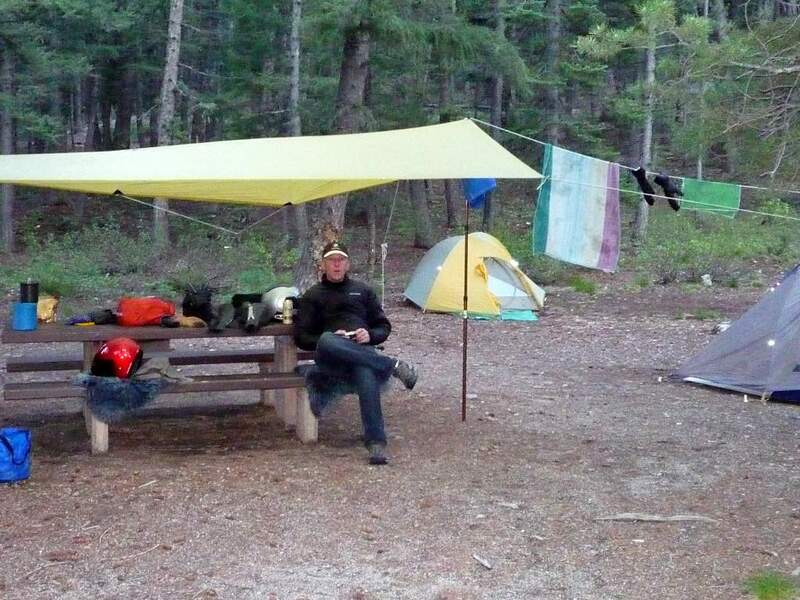 When camping on a bike(no trailer), having compact gear is mandatory. Think backpacking gear. Having said that, you don't want anything less than a 2 person tent, as you will be too cramped for changing clothes/gear. 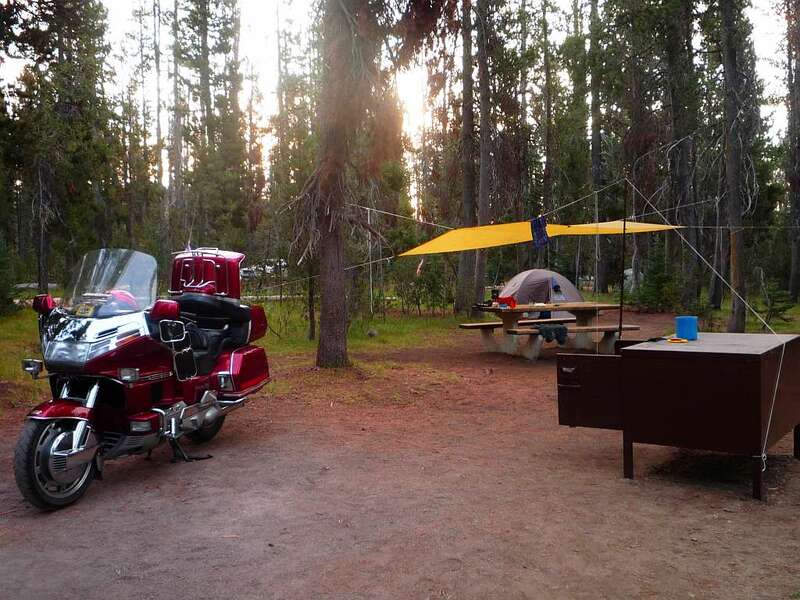 I do a lot of 'moto-camping' and have found out over the years thatyou get what you pay for. Yes, you can buy cheap shelters, but that's what they are - cheap. 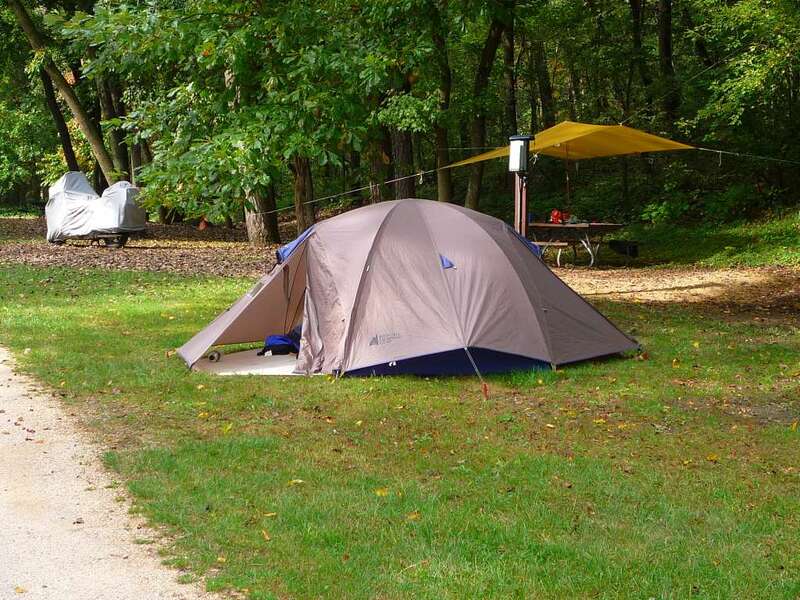 If you are unsure of what to look for in a tent, read this to educate yourself. As for a sleeping bag, my personalchoice isa down bag whichcompacts smaller, weighs less, costs more,lasts longerand will keep you warmer than a synthetic filled bag - but it will loose all insulative properties if it gets wet. I also carry a good sized, lightweight tarp, to shelter your cooking area(picnic table)and to increase your 'outdoor living space', during inclement weather. Very important!! It also provides a sheltered area to set-up/pack-up camp! 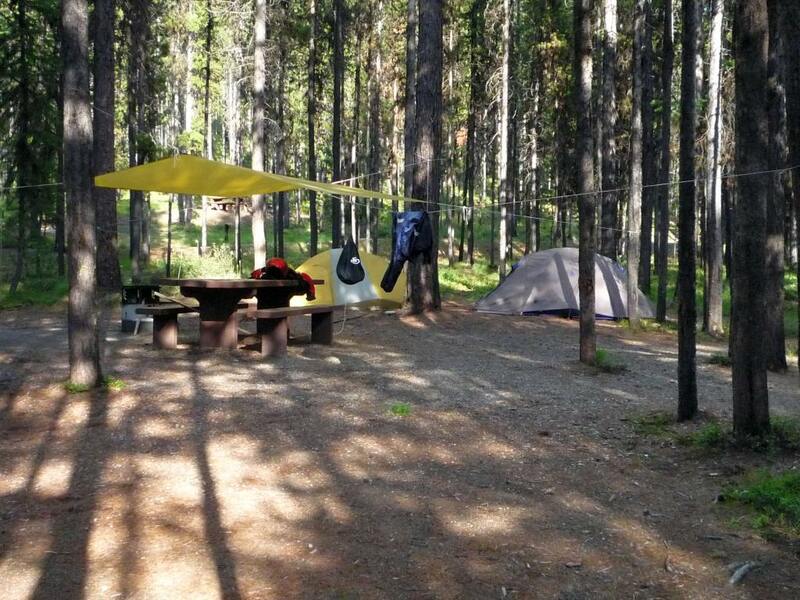 Are you planning on cooking at campas well ... or eating all meals on the road? ?